County Health Departments in the state of Michigan are increasing their standards for compliance with fly control, particularly in food, health, and medical establishments. This includes: House Flies, Fruit Flies, Sewer Flies, and other “Drain” Flies. Superior Pest Control has successfully eliminated flies from many food prep, bar, and serving areas of Grand Rapids and West Michigan restaurants. Partnering with our clients, we identify the source and provide corrrective action, often without the use of insecticides. Flies are only the result of poor sanitation. Pouring bleach or hot water down drains at night will rectify most fly infestations. Flies in certain areas (like bars) are just part of the business and can’t be eliminated. 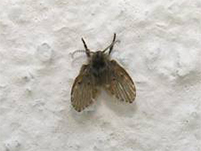 Increasing the frequency of pest control service will eliminate flies. Increasing the application of insecticide is the only way to eliminate flies. If you have a fruit flies in your bar, sewer flies in your kitchen, or any other fly infestations in areas deemed “sensitive” (patrons, patients, or employees), contact Superior Pest Control for consultation and to discuss remedies.